Cocoa Peanuts - Enjoy the perfect blend of sweet and salty flavor in this eclectic bag of Planters Cocoa Peanuts. Mouth-watering peanuts are coated in cocoa powder and seasoned with sea salt for a decadent treat that will satisfy your sweet tooth. 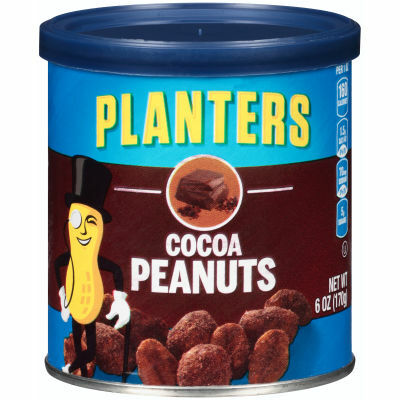 A Guilt-Free Indulgence - Planters Cocoa Peanuts are trans-fat free and cholesterol free, making them a healthy treat that you can enjoy without the guilt. Try adding these delectable peanuts to your favorite cake, ice cream or try them on their own for a delicious sweet and salty treat.